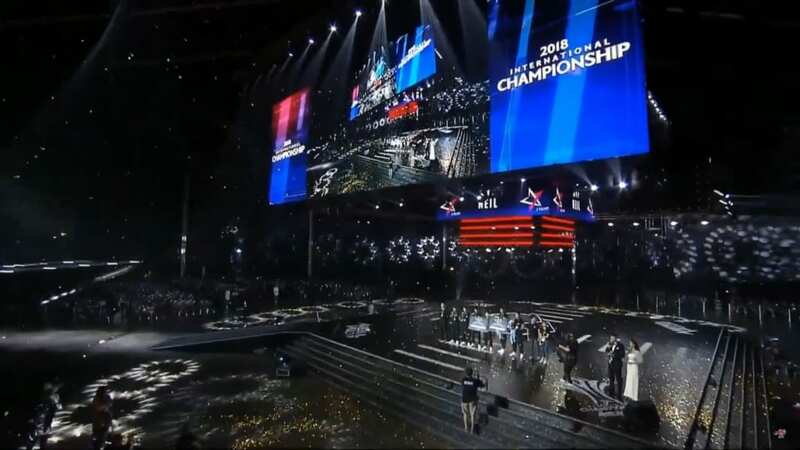 A recap of the final weekend of the Arena of Valor International Championship (AIC), recalling the events from the final four onward. Coming into the double-elimination final four, AHQ from Korea and J Team from Taiwan appeared to be the favorites over upstarts Team Flash from Vietnam and Alpha Red from Thailand. 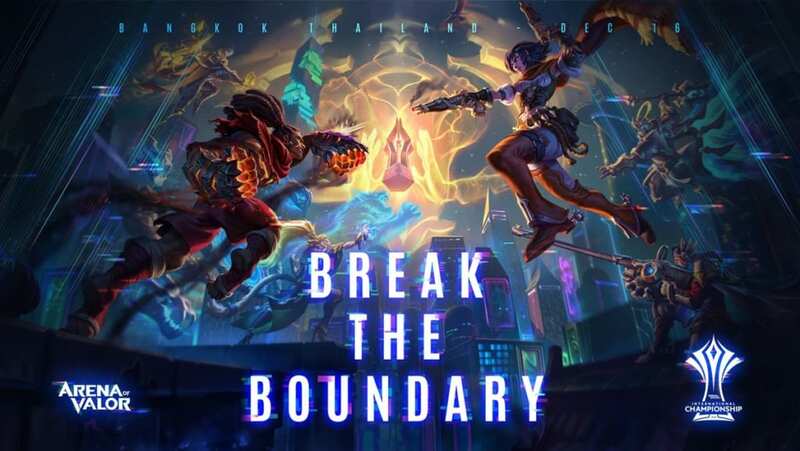 What transpired were a series of upsets followed by one of the most dominant single-day performances by a team in AoV esports history. Reigning world champions AHQ from Korea came into their semifinal matchup with Team Flash as the heavy favorites – and they looked like it too, building a 7000 gold lead in game one. However, their passivity from that point allowed Team Flash to equal the gold amount without any high-ground towers falling. One bad team fight then secured AHQ’s fate as Team Flash completed the comeback. Game 2 featured a seemingly flustered AHQ, as they were ripped apart in under 11 minutes by a Tel’Annas pick by Team Flash late in the draft. Game 3 saw AHQ return to form, playing nearly flawless and winning in just over 12 minutes. Game 4 was one of the best games of Arena of Valor ever (in this writer’s opinion), as both teams played at an extremely high level for nearly 40 minutes. 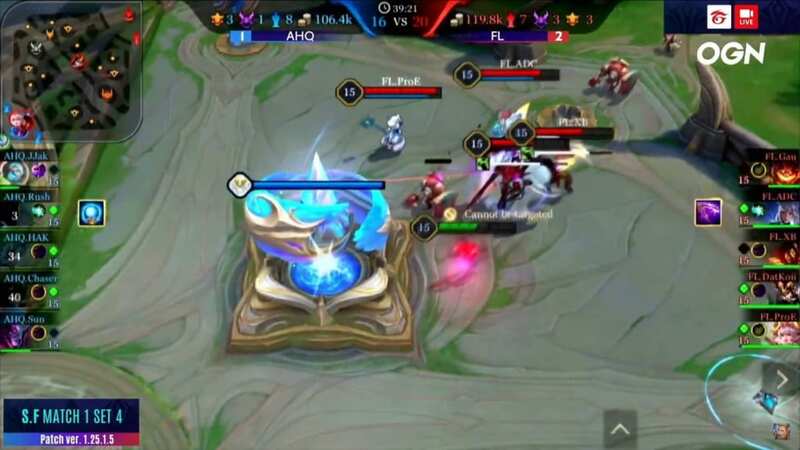 However, AHQ, in a mirror of game 1, was unable to finish out the game, the bottom lane high ground tower of Team Flash standing as their lone remaining tower for over 20 minutes. In the end, the open map allowed Team Flash to chase down AHQ with their Alice/Lindis combination and prevent any disengage. Staggered deaths from AHQ at the 39 minute mark – with both teams well over 100,000 gold – capped the comeback and secured Team Flash’s upset victory. 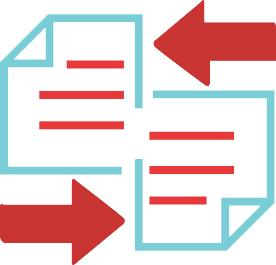 A rematch from the group stages started with a J Team Special: bending but not breaking in game 1, falling behind then capitalizing on the tiniest mistake from their opponent. Down 3000 gold and the Abyssal Dragon buff 18 minutes in, Neil on Rourke took out every damage dealer on Alpha Red, leading to an immediate rush to the Core from J Team to finish the game. Game 2 was a nice bounce-back game from Alpha Red, as they leveraged some devastating early picks from Nt on Natalya to snowball the game in their favor. Though J Team held on until 18:30, they never got closer than 10,000 gold once the game entered the later stages. Though Elsu as a character wasn’t living up to his billing as an “OP” hero in the AIC, J Team’s Winds managed to make him work in game 3. The game-turning fight occurred over the Enraged Abyssal Dragon just after it spawned, giving J Team the lead for good. In true J Team fashion, it was a slow and steady choke-out, as they finished the game roughly 9 minutes afterward. Thailand’s Alpha Red opted to put FirstOne on Moren in game 4, a hero who is much more highly regarded in the team’s home server. The combination of good early engagements and a focus on hyper farming Moren led to Alpha Red’s second one-sided victory of the series. Alpha Red went back to the Moren well in game 5, but Shadow on Omen and TAOZ on Maloch consistently lost duels to Yuzon on Riktor and Winds on Valhein, respectively. The aggressive play of J Team’s Neil also paid dividends, as his cleanup of a top-lane fight at 6:30 came at the worst possible time for Alpha Red. Up several thousand gold, J Team stepped on the gas pedal and finished the game in under 12 minutes. Established juggernaut J Team started off game 1 well against the upstart Team Flash from Vietnam, building a lead of over 1000 gold early on. However, a premature Hurricane Wall by Benny on an invade attempt at 4:30 cost them all of their momentum, TF’s ProE on Cresht immediately punishing with a 4-man Metamorphosis. The gold disparity never rose above 2000 for either team in the next 14 minutes, though J Team managed to knock down two high-ground towers. 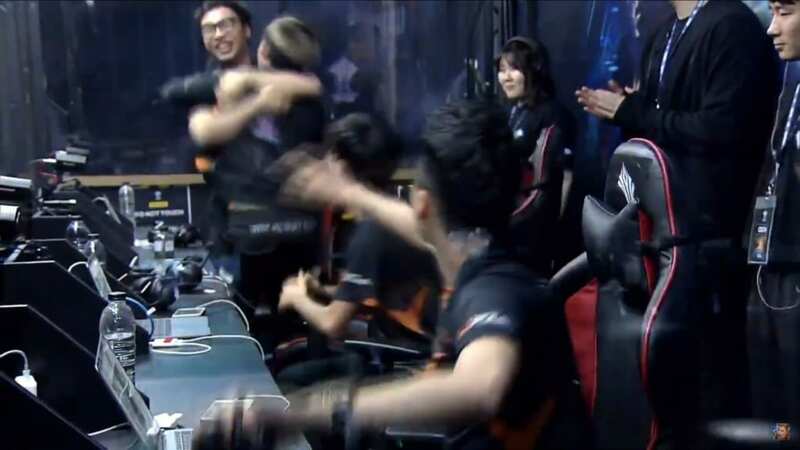 But Team Flash immediately punished: ProE landed a Metamorphosis and XB followed with an unbelievable Flicker – Blinding Light – Shining Light – Unpredictable – Leap of the Fox – Foxtrot combo for a double kill on the back line before baiting Yuzon into the tower for good measure. The deciding fight occurred around the Abyssal Dragon at 20:45, with more heroics from XB securing the victory for Team Flash. Team Flash somehow managed to out-JTeam J Team in game 2, as they built a 10,000 gold lead at 14 minutes while only leading by one kill. Continuing their J Team impression, Team Flash slowly choked out their Taiwanese opponents until a fight had to be taken and the game was won. Facing a super-pokey Kahlii/Elsu combination in game 3, J Team opted for Nakroth to try to get into Flash Wolves’ back line. J Team improbably held a gold lead and the Dark Slayer buff past 17 minutes, but ADC (Zill), XB (Kahlii), and DatKoii (Elsu) combined to re-engage at 17:45 and nearly wipe J Team, resulting in a secure of the central high-ground tower and the Enraged Abyssal Dragon. One last successful fight at 20 minutes was all it took to cap off Team Flash’s Cinderella story (well, on Saturday at least). 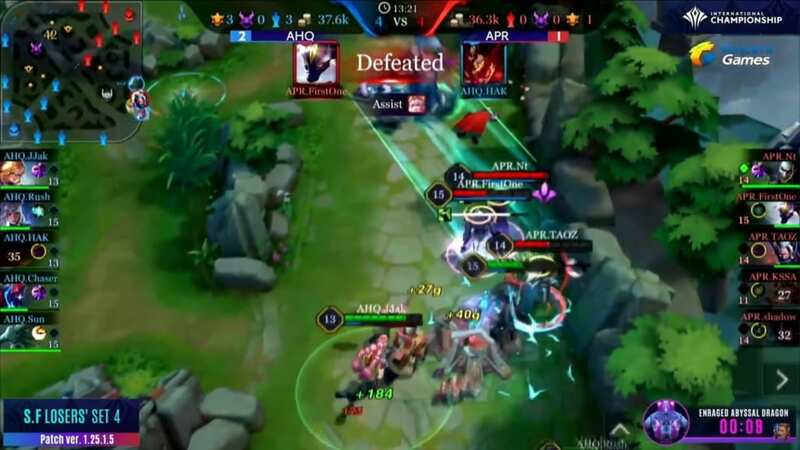 The high-profile matchup between AWC champions AHQ and Alpha Red – a team that defeated the AWC finalists in their Thailand qualifiers – started out an even affair, with the teams roughly tied through 10 minutes. 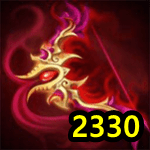 From there, AHQ slowly built advantages throughout the map, leading to a 6000 gold lead at 13:30 as they took the Enraged Abyssal Dragon while winning a 4v4 and taking a high ground tower in the top lane. AHQ’s slow grind continued until the determining fight at 17:15 allowed them a push onto the core. Switching the Elsu from Nt to TAOZ proved fruitful for Alpha Red in game 2, as both turned into threats that wore down AHQ from the start. With neither Rush on Batman or Sun on Omen able to be effective, Alpha Red pushed their gold lead to five digits and never let up, winning in just over 20 minutes. AHQ did their best Flash Wolves impression in game 3, winning multiple team fights and pushing down towers but not gaining any significant gold advantage until all of Alpha Red’s towers fell at the 20 minute mark. The poke from HAK’s Kahlii and the burst from Rush – who built a very damage-y Zanis – was enough to continuously rebuff the efforts of Alpha Red in crucial team fights. When Alpha Red drafted Zill and The Joker to punish AHQ’s squishy first three picks, AHQ shifted gears in the latter half of the draft for game 4, picking beefy side laners Arduin and Cresht. Just like games 1 and 3, neither team held a large gold advantage through 13 minutes, when an attempted collapse by Alpha Red turned disastrous. HAK immediately picked off KSSA, while JJak cut off Shadow’s Superman from the rest of the team. Trying to capitalize on the low-health damage dealers, TAOZ and FirstOne overextended into AHQ. When Sun finally arrived with a devastating Metamorphosis, it was curtains for the home team. These same two teams faced off in the AWC lower bracket finals – and again in the GCS finals – with AHQ taking both. 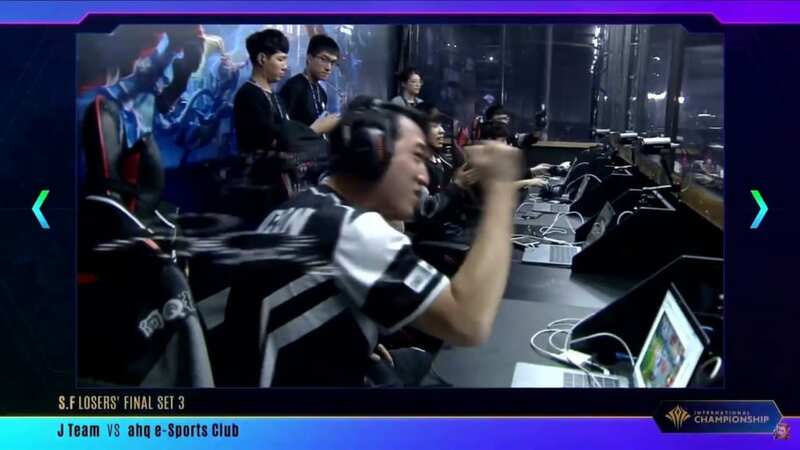 This time, however, AHQ had it rough right out of the gate, as J Team’s Benny made life miserable for the squishy non-side laners JJak (Annette), Rush (Lindis), and HAK (Kahlii). Lacking any proper way to engage, AHQ got run over by J Team, who didn’t suffer a death until it was 13-1 and they were on the AHQ core. Game 2 saw J Team completely bamboozle AHQ in the draft again, picking Tel’Annas last when AHQ lacked a secure way to reach the marksman. As expected, Winds picked her up and completely dominated the bottom lane matchup, leading the team in damage despite Neil (Zephys) and Star (Raz) picking up kills left and right. From the 8 minute mark on, J Team slowly built their gold, tower, and kill lead until the core fell at 16:50. AHQ rectified their draft woes in game 3, but the pressure of being down 0-2 clearly weighed on them, as they started making desperate plays to instantly grab a lead. It started with a four-man invade onto Benny’s Y’bneth at 4:10, but he immediately used Nature’s Realm, catching multiple AHQ members in a choke and allowing four members of J Team to collapse. Another attempted invade into the jungle at 5:15 elicited an immediate response from J Team and led to Rush’s death. From there, J Team did what they do best by slowly whittling down AHQ, finally defeating their rivals in an international competition. Though Team Flash had just beaten J Team the day before, 3-0, J Team had a plan coming into the Grand Final. And perhaps Team Flash showed some nerves on the biggest stage as they played right into it. Drafting both Y’bneth and Cresht, J Team waited for the aggressive lineup from Team Flash to engage so that they could re-engage and punish the Vietnamese roster. It worked out beautifully, as J Team came out ahead in every team fight in the early going. 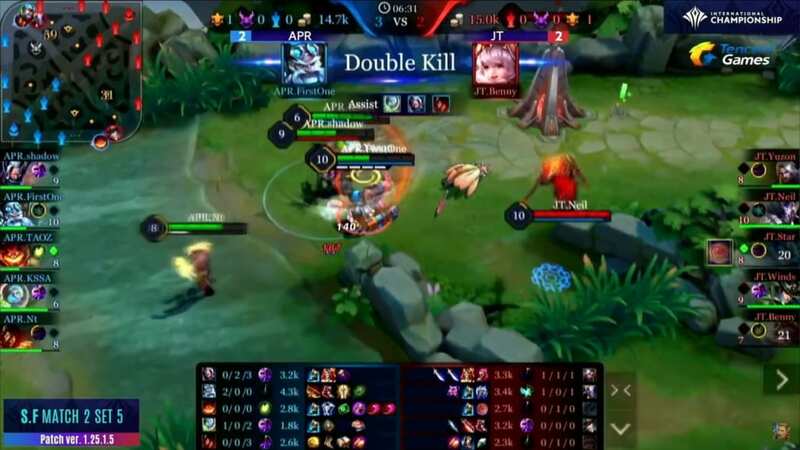 Without a marksman to push down towers, and not wanting to make the same mistake as AHQ, J Team used their beefy front line to aggressively push into Team Flash and bring down the towers by force. Not letting Team Flash recuperate turned out to be the right choice, as amid the chaos J Team was able to finish off the core in just under 20 minutes. Game 2 again saw J Team draft a beefy front line, but this time with heavy dive elements in Zephys (Neil) and The Flash (Star). Though Team Flash successfully built a kill lead early, they found themselves down both in towers (8-3) and gold (-7000) even as they still led in kills, 6-5, at the 17 minute mark. Without even offering Team Flash a proper team fight, J Team pushed down the towers and finished the core in 19:06. J Team drafted a squishy, double-marksman composition in game 3, seemingly to prove that they could win with any style. Just before 2 minutes, Yuzon on Omen cleared his wave before his counterpart DatKoii (Lu Bu), allowing him to rotate over and secure first blood. From there, J Team exploited their gold and positional advantage like few other teams can, securing kills, towers, and monsters alike. With an 8000 gold lead and the Abyssal buff in hand, J Team forced their way into Team Flash territory, acing them and finishing the game in under 12 minutes. Facing the mountain of a 0-3 deficit, Team Flash didn’t respond well in game 4. ADC on Violet made a desperate attempt to steal the first Abyssal Dragon, leading to his death and the death of DatKoii on Omen – without even securing the dragon. J Team aggressively pushed their advantage from that point on, periodically picking up the kills and objectives they needed to make a push onto Team Flash’s high ground. As all three lanes were pushed in, J Team crushed everything Team Flash had remaining and capped off perhaps the most dominant single-day performance in Arena of Valor history. The trophy presentation for J Team at the AIC venue in Bangkok, Thailand. J Team won $250,000 for their efforts, with MVP Neil picking up an additional $10,000. This site is dead !